The remarkable performance of the Chinese economy in the last three decades has placed China at the centre of the world stage. In 1993, China became a net importer of energy, although it was not until the early 2000s that the world began to pay more attention to China’s energy needs and its potential impact on the world. With China’s energy search occurring within a hegemonic global structure dominated by the United States, the US watches with interest as China enhances its ties with energy-rich states. The book examines this triangular relationship and questions whether the US and China are in competition regarding access to the energy of a third state, within the context of a potential power transition. 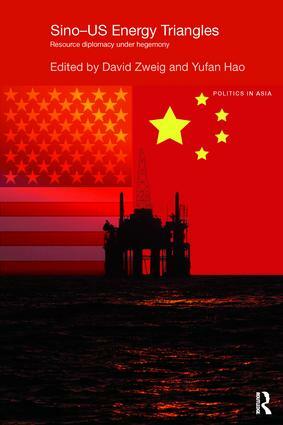 It includes case studies on China's energy relationship with countries such as Canada, Australia, Saudi Arabia, Nigeria, Brazil, Kazakhstan, Iran, Sudan and Venezuela and aims to understand the way a rising power interacts with the existing leading power and the possible outcome of this competition. The analytical framework employed helps the reader to understand not only the nature and pattern of triangles among US, China and the Resource Rich States under ‘resource diplomacy’, but also the salient features of US-China competition around the world. Making an impressive contribution to the literature in fields such as US-China relations, international relations, Chinese foreign policy and global energy geopolitics, this book will appeal to students and scholars of these subjects.